Today, we announced our $1.6m investment in Holded, the Barcelona-based business management platform for SMEs. This is our 12th investment from our current Fund raised early 2017. 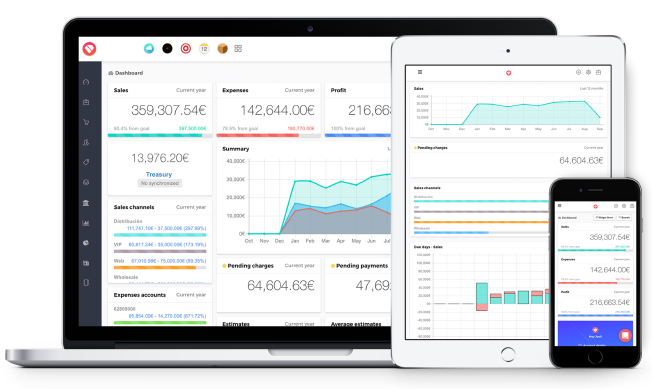 Founded in 2016, Holded is an all-in-one management software for SMEs with focus on covering most of companies’ needs within one platform (Enterprise Resource Planning (ERP), Invoicing, Accounting, etc.) and automating the Back Office so entrepreneurs can focus on growing their businesses. For that purpose, the company has developed a complete ecosystem of apps and integrations. Our history with Holded goes back to early 2016 when I first met the founding team Javi Fondevila and Bernat Ripoll at a conference while walking around the booths just before the close (best time to have a relaxed conversation with entrepreneurs ;-)). Fast forward two years, the company had built a tremendous product with strong customer momentum using limited resources, which fitted perfectly with Nauta’s investment thesis around Capital Efficiency — so the time was right for us to invest. The economy can be modelled as flows of money, goods and services being exchanged between economic agents. In a digital world, we expect software to have an enormous impact on how these economic flows take place. As a matter of fact, this is already happening at an accelerated pace as a result of the open banking and the API economy. 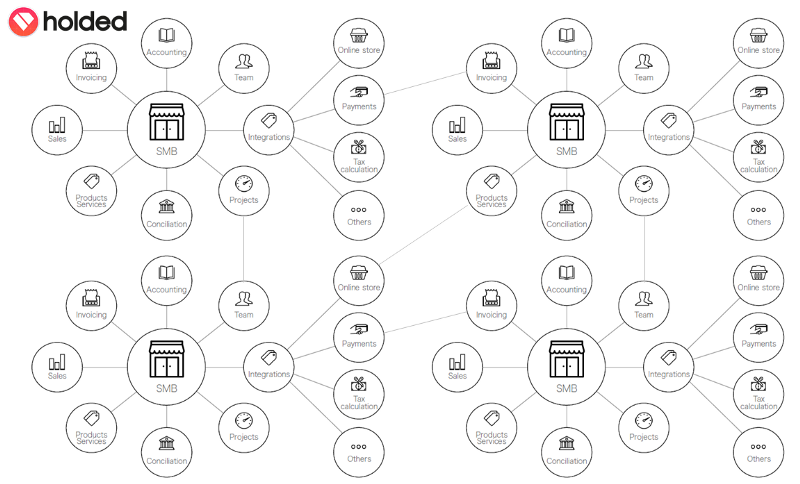 Our vision is that through software and connected APIs a large number of transactions and processes that build the SME economic tissue, such as invoicing, payments processing, replenishment, shipment, etc. will be automated. We believe that Holded has the potential to become the platform that orchestrates this automation generating enormous value by increasing the speed at which transactions between SMEs take place. 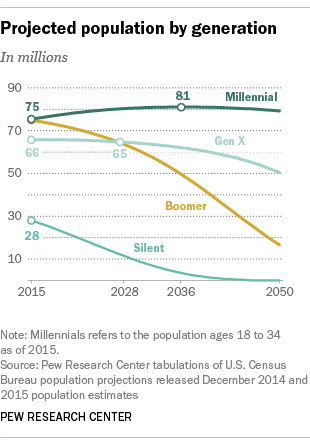 Millennials have already surpassed Baby Boomers as the U.S. largest living generation according to population estimates released by the U.S. Census Bureau. Moreover, USA Today recently published that nearly a third of Millennials have already started some kind of business (2x the Boomers) and almost half of Millennials (49%) want to start their own business in the next three years. In less than 10 years this generation will be one of the largest segment of SME owners and guess what? — They will run their companies with more intuitive technology solutions with focus on UX/UI and workflow automation. As a result, we expect the SME software ecosystem to be the first segment that will be disrupted by UX/UI centric tools such as Holded. This includes any technology that makes life easier for the entrepreneur, e.g. Automation, AI, voice interfaces, etc. Similar to the framework developed by Christoph Janz in Five ways to build a $100 million business, we expect most software companies that sell to SMEs to acquire customers with an Annual Contract Value (ACV) between $100 and $500. In such cases, companies have to reach to a large number of potential clients to be successful and virality becomes super important. When analyzing Holded’s metrics we realized that, despite a very low marketing budget, growth had been much higher than expected and it did not seem to correlate much with marketing spend, so we decided to dig deeper and find out why. As a result, we realized that by automating Billing and Payment processes between SMEs Holded’s product gains exposure to the ecosystem of its clients creating a viral mechanism that generates new customers very efficiently. We expect this virality to become stronger going forward as Holded’s client base becomes more dense in its core hubs. By now, you might have realized that we are very excited to be part of Holded’s growth story 😉 and we hope that there is much more excitement to come.